Trevor – This trailer shows tons of punching and stabbing. It’s a little difficult to see how this show will play out based on this trailer. It seems a little more developed than other shows I’ve given chances to, so I’m in. What I liked about the Ben Affleck rendition was the emphasis on the blindness and how it was overcome to become an “ability”. We see a tiny bit of training in this trailer and I’m hoping a lot in the actual show. If you skipped the little bit at the beginning that talks about the kid being blind, you could almost think this was just about some random vigilante. Hopefully this thing is awesome. Tim – I generally don’t get into the superhero TV shows because they gave a lot of “villain of the week” stories. 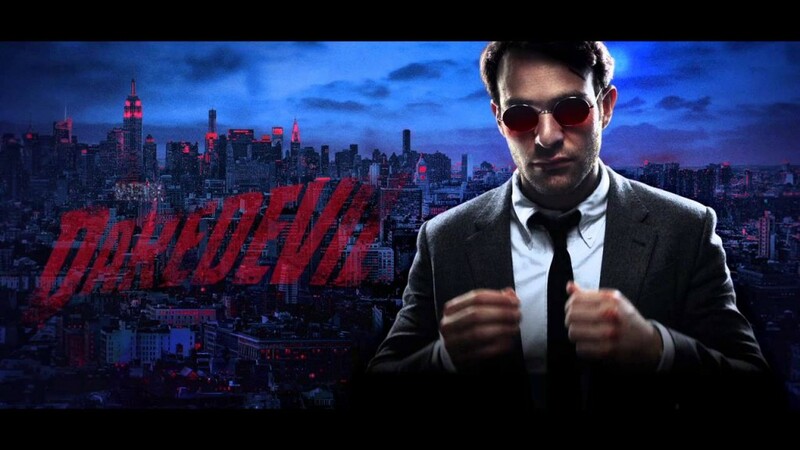 But the grittier tone of this Netflix version of Daredevil and the fact that all of the episodes release at the same time on 4/10 interests me. Like most people, I really didn’t like the Ben Affleck movie, so I need to be sold on the concept of Dardevil as a cool hero. But these trailers for this new show have piqued my curiosity. I’ll check this one out this weekend. Trevor – This one came out of nowhere for me. Here is why I’m interested. There are so so many films coming out right now that are action shows that are based on stuff we’re very familiar with. Books, comics, old film franchises. Lots of stuff. This one is something I knew nothing about previous and it has a great (if odd) cast. It also has what seems to be at first, an everyday normal woman taking a serious lead and kicking trash. We get hints that she may be a spy or some sort, but that’s awesome. Tim – I love spy and assassin movies. The story looks a bit thin, but the interplay between two highly skilled operatives always makes for awesome action scenes. Also, Pierce Brosnan was 007 for a time, so he deserves some respect as an action man. I’ll see this one, even if it’s only a rental. Tim – Have you ever read Stephen King’s “Misery” or seen the movie? It’s SO good and so creepy. Kathy Bates plays a crazy woman who holds her favorite author hostage in the most abusive caregiver kind of way. This trailer gave me those vibes. It was incredibly creepy, and there don’t appear to be any surprises here, but I love a good “humans are the real monsters” horror movie. I’m in.